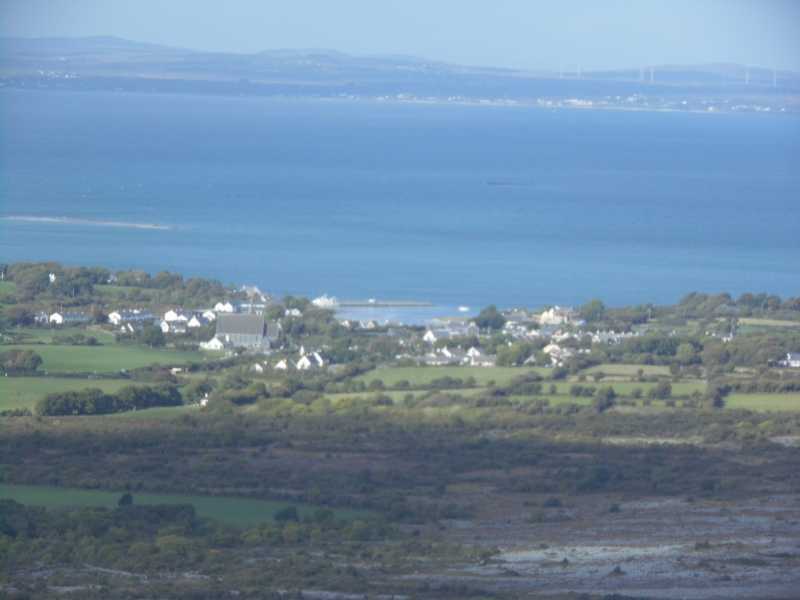 In 2014 I took a route starting on the N67 coast road several kms north of Aillwee. 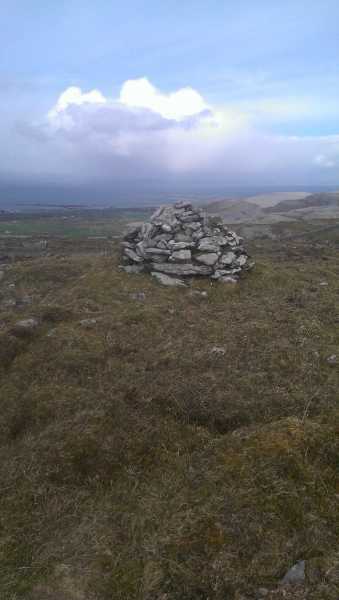 This took me over two smaller rugged hills named Kiloghil and Moneen before reaching Aillwee. 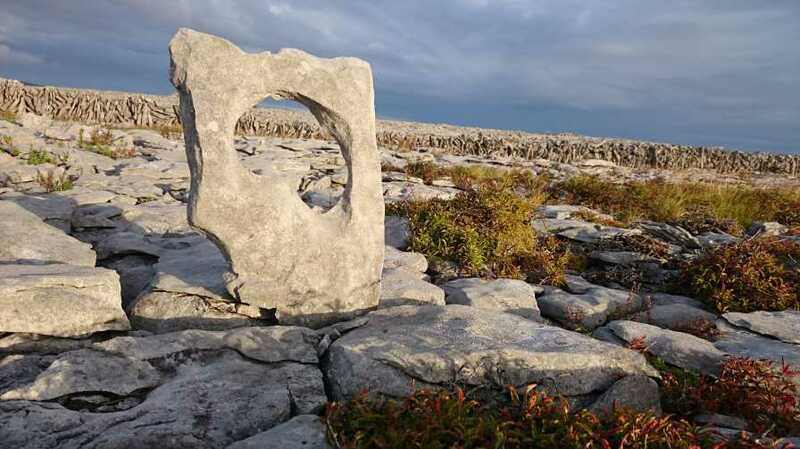 This approach showed the best of the Burren landscape –areas of limestone crisscrossed with clints (blocks or broad areas of limestone) and grykes (fissures between the blocks), rugged, thorny bushes and colourful flowers. There are also lots of high limestone steps to negotiate which involved pulling myself up on various occasions. The tangled thorny growth that protrudes from between the rock also made navigation tricky in places. 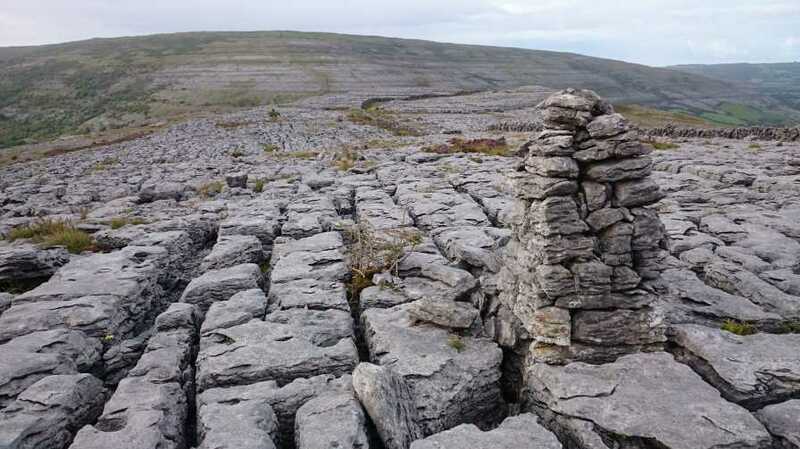 After a careful descent of the limestone steps to the south of Moneen I reached the track referred to by Sandman in his comment. 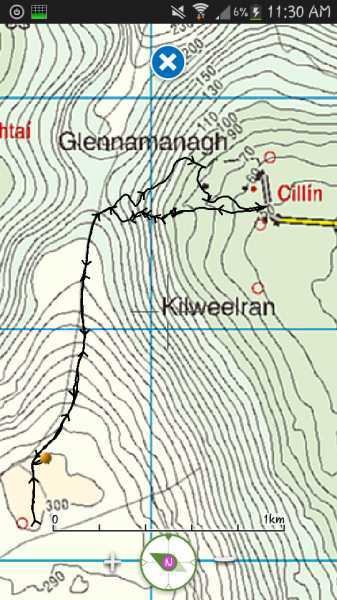 The track leads up past the flat summit of Aillwee. It is a disappointing summit to reach after the excitement and challenge of the approach journey. 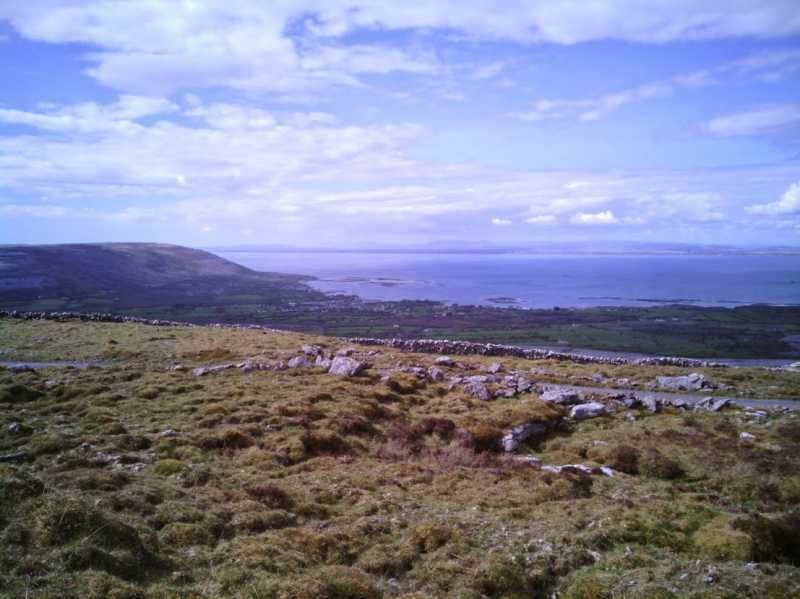 The broad flattish summit of Aillwee is grassy, and is crisscrossed by tracks. I used these to find my down to reach a point on the R480 to the SW of Aillwee to complete a 12 km walk. Accessing the hill from the NE via a road which was upgraded under the "Clar Programme" for rural development. I drove thru old type gates to a farm house which at the time was for sale and as no one was present continued on and parked at M2599106609 C adjacent to a locked gate. This road is a public right of way so access is not an issue(but it is always nice to ask) and as a matter of note if the gate is unlocked you can drive to the summit area on a tarred surface.